Star City School District announced today that it has been recognized as a Project Lead The Way (PLTW) Distinguished District for providing broad access to transformative learning opportunities for students through its PLTW programs. It is one of just over 30 districts across the U.S. to receive this honor. PLTW is a nonprofit organization that serves millions of K-12 students and teachers in over 10,500 schools across the U.S.
"We are proud of the teachers and students of the Star City School District. The Star City School District has the distinct honor of being the only Project Lead the Way Distinguished District in Arkansas and one of the thirty-one districts in the nation to receive this award. At the K-5 level, 100% of our students participate in STEM education, which prepares learners to collaborate, think critically, and problem solve. We are so proud of Jimmy Brown Elementary for preparing our early learners to thrive in an ever-changing world. Star City Middle School and Star City High School provide students the opportunity to access and engage in Career Pathways that include: Biomedical, Engineering, and Computer Science. These STEM pathways allow students to meet the challenge of College and Career Readiness and excel academically and personally." 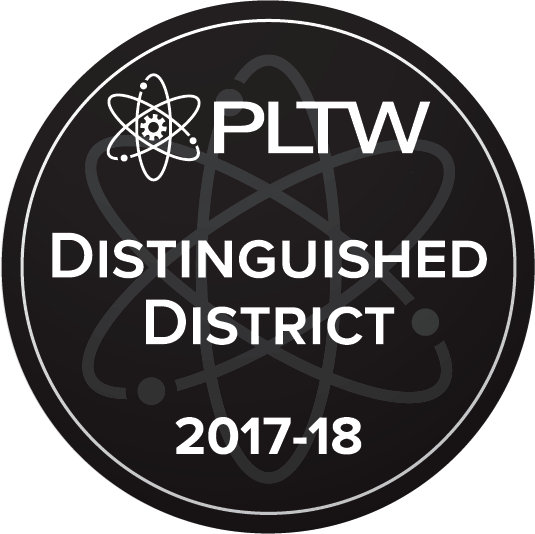 The PLTW Distinguished District recognition honors districts committed to increasing student access, engagement, and achievement in their PLTW programs. To be eligible for the designation, Star City School District had to have had 20 percent or more of its students in each grade, K-12, participate in a PLTW program during the 2016-17 school year. Through PLTW programs, students develop STEM knowledge as well as in-demand, transportable skills that they will use both in school and for the rest of their lives, on any career path they take. As PLTW students progress through grades K-12, they are empowered to engage in problem solving and process thinking, develop technical knowledge and skills, build communication skills, and explore career opportunities. Star City School District offers PLTW Launch (K-5), PLTW Gateway (6-8), and PLTW Computer Science, Engineering, and/or Biomedical Science at Jimmy Brown Elementary, Star City Middle School, and Star City High School.